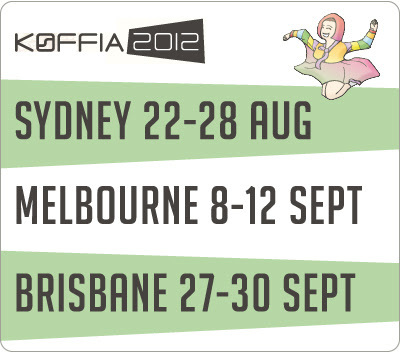 The 3rd Korean Film Festival in Australia, KOFFIA, is pleased to announce its film line-up for 2012. KOFFIA will showcase 20 of the best and latest Korean feature films as well as a few past classics, in a diverse program that will allow audiences to discover their connection to Korean cinema and culture. Audiences will once again be treated to a feast of Korean festivities taking place at Dendy Opera Quays in Sydney and ACMI Cinemas Federation Square in Melbourne. While for the first time selected titles will also screen at Tribal Theatre in Brisbane, as August and September sees 16 days of screenings across the Australian east coast. The festival will open in Sydney on August 22nd with the Australian premiere of the highest grossing Korean film of 2011, WAR OF THE ARROWS. Set during the second Manchu Invasion of Korea, the action packed epic follows Nam-yi, a young archer who must save his little sister from slavery and avenge his demolished village. The film won a plethora of prizes awarded to great performances by Park Hae-il, Ryoo Seung-ryong and new comer Moon Chae-won. A week later, the festival will close with the Australian premiere of SUNNY, a warm nostalgic comedy revolving around a group of middle age women who reminisce about the fun and adventures of their childhood. Director Kang Hyeong-cheol, who picked up the Best Director prize from the 48th Daejong Film Awards, will be in attendance to present his film. Sunny and War of the Arrows are two of the films screening as part of the newly added Panorama programme of the festival. This section focuses on the latest critically acclaimed and commercially successful films from Korea. Also included in this section are the Cannes pair, Im Sang-soo's The Taste of Money and Hong Sang-soo's In Another Country. In the Modern Classics programme, Park Chan-wook's Oldboy is screening, while Korea's first film to screen in competition at the Sydney Film Festival, The King of Pigs, will be screening as part of the Animations programme. I have only seen Oldboy and Bleak Night from the list. Assuming you have already seen Oldboy, I would recommend giving Bleak Night a watch if you get the chance. Bleak Night is one of the screeners I picked up tonight. Thanks for the recommendation CS. I'm sure I will enjoy it. I have seen Oldboy, so I'll give it a miss, but I hope to go along on a couple of nights and see The Taste of Money and In Another Country.